How much money do you have saved for retirement? If you have little to nothing saved, you aren’t alone – Bankrate¹ writes that 20 percent of Americans have $0 for retirement. Saving for retirement seems difficult, especially if you’re working hard to make ends meet each month. But saving the money you’ll need during your retirement doesn’t have to be difficult. It can actually be quite easy, if you know the right steps to take. If you want to become better financially prepared for retirement, start adding to your 401K and increasing your savings with these effortless tips. Many companies, from small startups to large corporate offices, offer some kind of retirement savings benefit for their employees. Most commonly, that benefit comes in the form of 401K matching, or a dollar-for-dollar match on every contribution you make to your retirement fund. Typically, employers will match a certain percentage of an employee’s 401K contributions. Your employer might offer a simple fixed match, where your employer contributes a dollar for every dollar you contribute. Or, your employer might offer a percentage match, matching your contribution amount up to a certain percentage of each paycheck – for example, if you contribute five percent of each paycheck, your employer will match that five percent. Regardless of the type of match offered by your workplace, matching contributions make it incredibly easy to bulk up your retirement savings. Make sure you’re maximizing your employer’s contribution. Increase your contribution percentage to the maximum matched, or dedicate $100 or more each paycheck to be contributed. Taking full advantage of these matching contributions can net you thousands of additional dollars. One super simple way to increase your 401K is to increase your savings rate on a regular basis. Most people set a fixed rate they save at each paycheck or each year. Unfortunately, few people increase that rate over the years. However, you could increase your savings by a tiny amount every month, every quarter, or every year – and with every small bump in your savings rate, you’ll add to your retirement total. Suppose, for example, that you increase your contributions by one percent every year. You’ll hardly notice the difference in your take-home pay; a one percent increase, like jumping from three percent to four percent, will only cost you a few dollars more on each paycheck. However, you’ll see a huge difference in your savings when it’s time to retire. For example, say you earn $50,000 per year and put five percent of your salary into a 401K over 30 years, earning eight percent interest on your savings. When you’re ready to retire, you’ll have a nest egg of approximately $420,000. 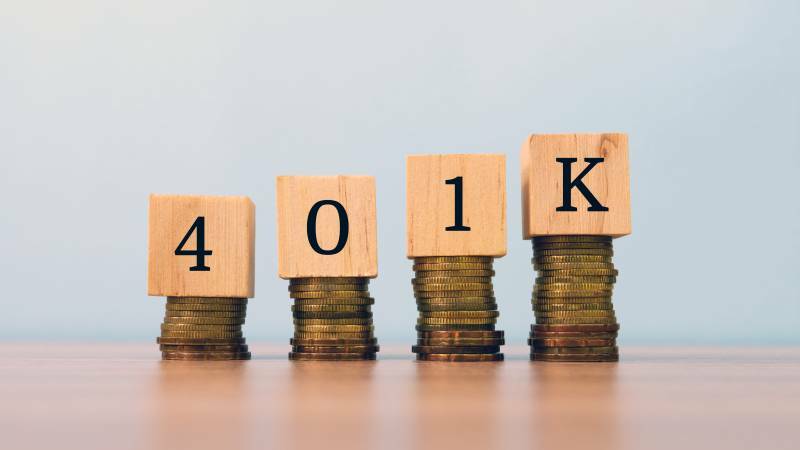 Yet if you increase your annual contribution from five percent to seven percent of your salary over a few years, your 401K retirement fund would total approximately $587,000. Increasing your savings just two percentage points nets you an increase of $167,000 – and imagine what a difference that money will make when you’re on a fixed retirement income. Another easy way to give your retirement savings a boost is to consider switching the plan or fund you’re saving to. Your plan or fund determines how much interest you’re earning, when and how you can access your money, and how risky your invests are in the current market. Taking a close look at your plan or fund annually allows you to compare interest rates and earning potential – and if you could earn more money by switching, it’s a smart idea to do so. The popular retirement savings plans are a traditional 401K and a Roth 401K, both of which have unique advantages. In a traditional 401K, you’ll contribute pre-tax dollars, meaning your contributions aren’t taxed when they’re contributed. A 401K is typically set up by or through your employer, making it an easy hands-off retirement fund. A Roth 401K, on the other hand, is set up with an investment firm. Because of this, you’ll have greater flexibility in how your funds are invested. While contributions are taxed, your gains aren’t. You can consider switching from a traditional 401K to a Roth 401K, or you could place your retirement savings with an investment firm you trust to handle your money. No matter where you’re saving, make sure you take a look at other options to potentially increase your money every so often. The easiest way to increase your 401K is to save without even thinking about it. And any time you have more money you can contribute, you’ll want to send it straight to your retirement fund – like when you get a raise. Make a plan to increase your 401K contribution each time you get a raise. For some people, this could mean making a small annual increase of a few dollars or one more percent. For others, you might want to contribute more if your raises are less frequent but more significant. Increasing your retirement contribution every time you get a raise works especially well for anyone on a budget. Often, a raise gives you a little more discretionary income that you weren’t expecting. There’s no better way to put that money to use than to let it earn interest in your retirement fund. Once you increase your contribution for each paycheck or each month based on your new, higher income, you’ll forget you’re saving more and won’t even notice that extra cash earning you more money for the future. If you feel like you aren’t doing enough to prepare for retirement, the good news is it’s never too late. The power of increasing your retirement savings in small, effortless ways should never be underestimated. Even tiny adjustments can provide you with a larger retirement fund over the years. If you aren’t taking full advantage of your 401K plan, now’s the time to do so. By implementing these five measures, and finding other ways to make small contributions, you’ll be able to effortlessly increase the amount in your 401K and experience a far more enjoyable retirement. Interested in increasing your retirement savings? Start a search today.